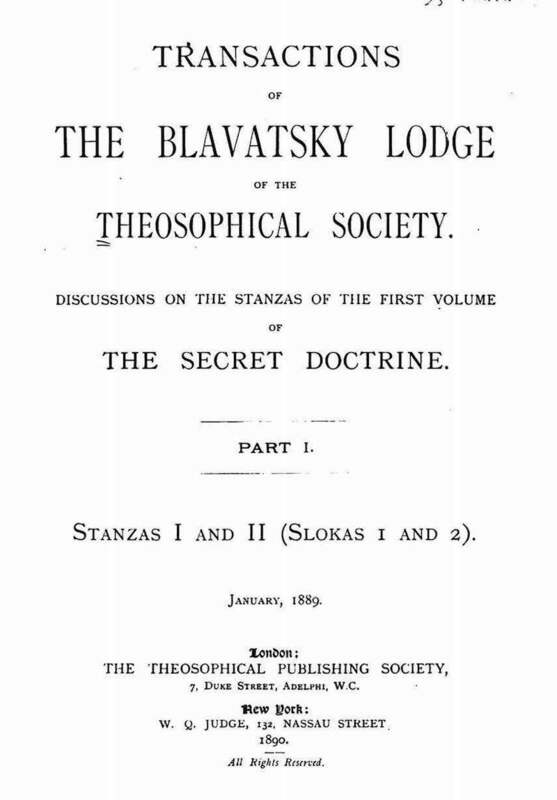 Transactions of the Blavatsky Lodge of the Theosophical Society. Discussions on the Stanzas of the First Volume of The Secret Doctrine. London, England, and New York, NY. This is a serial rather than a journal and consists of transcriptions of the shorthand notes written by her students of H.P. Blavatsky’s discussions in the Blavatsky Lodge from January 10 to June 20, 1889. They sorely need to be re-done.